Click here to go to my 2004 diary. Click here to view the Aboyne 2004 Pictures page. 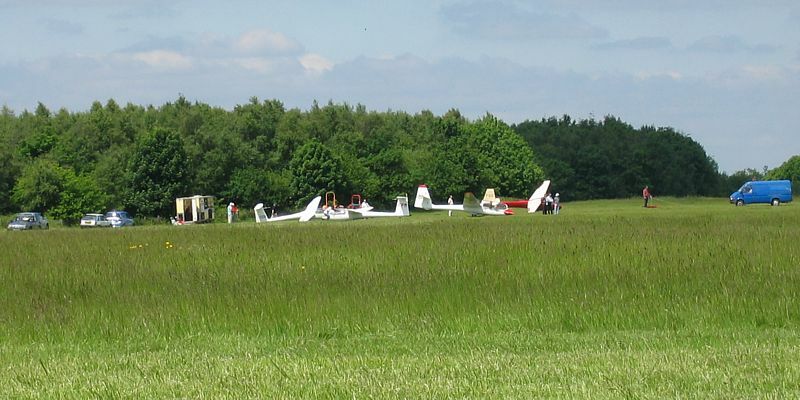 I was at Gransden Lodge airfield (home of Cambridge Gliding Club) for the Interclub League final. 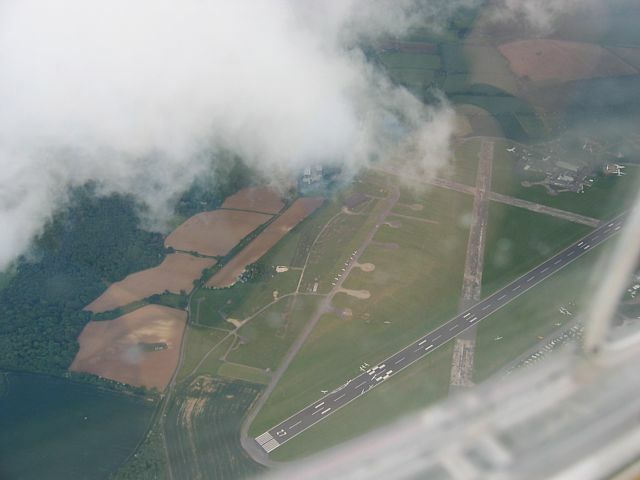 I was the Lasham intermediate. The weekend went extremely well for me, winning both days. However overall Lasham came 4th out of 7 clubs. Still a great weekend though. 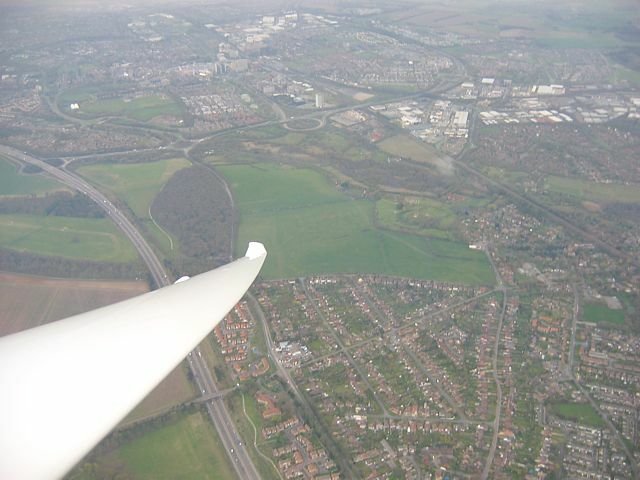 I flew glider Sh2 again - the same glider that I flew at Challock and in last year's first 300km and trip to Isle of Wight flight. 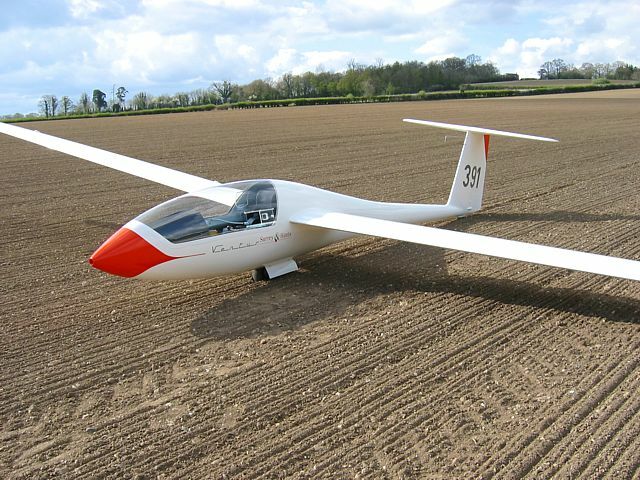 This glider seems to be a 'lucky glider' for me (if anyone believes in that sort of thing). 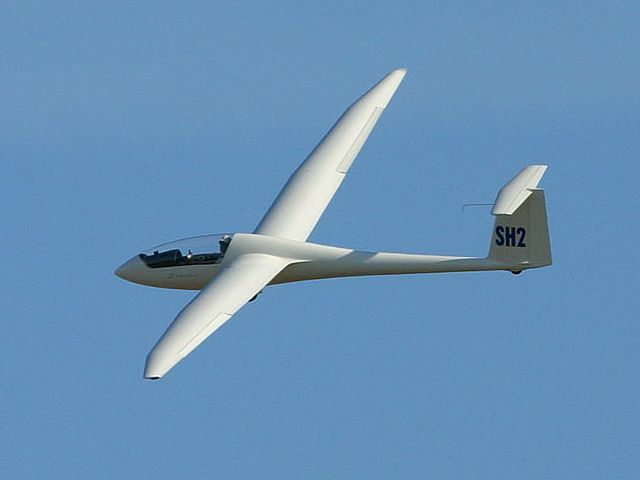 Note that the 3 pictures of glider Sh2 (with me flying it) were not taken by me. They were taken by Paul Haliday using his Digital SLR. Thanks for that Paul! Great pics. Thanks for letting me put them here too. We discovered 3 of our tents were identical! Oops... :o) Mine's the middle one. 2 pictures of me finishing on the 4th - pulling up after a fast flyby and turning finals, and then descending with undercarriage down and airbreaks out ready for landing. 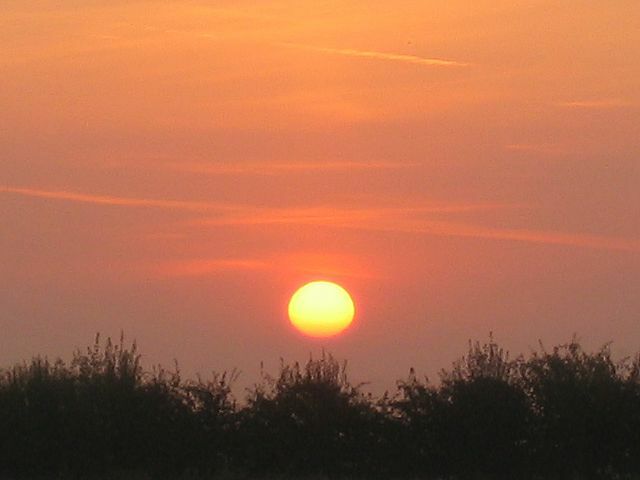 On Sunday 5th the sunrise was as spectacular as the day ahead was for me. 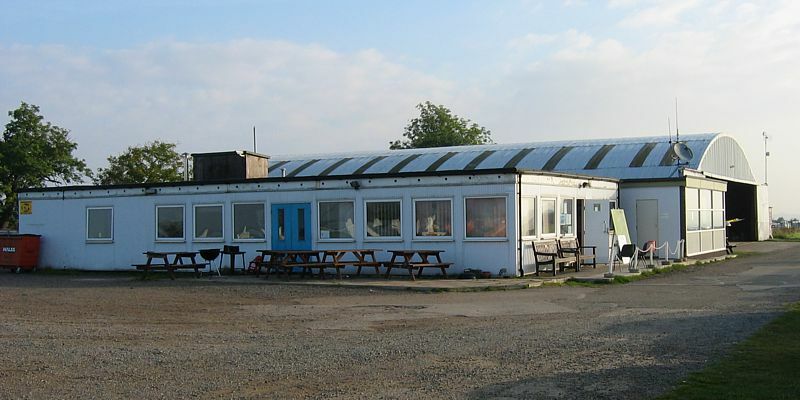 The clubhouse and hangar at Gransden Lodge. The trailers and tents were about a mile from the clubhouse on runway 27. 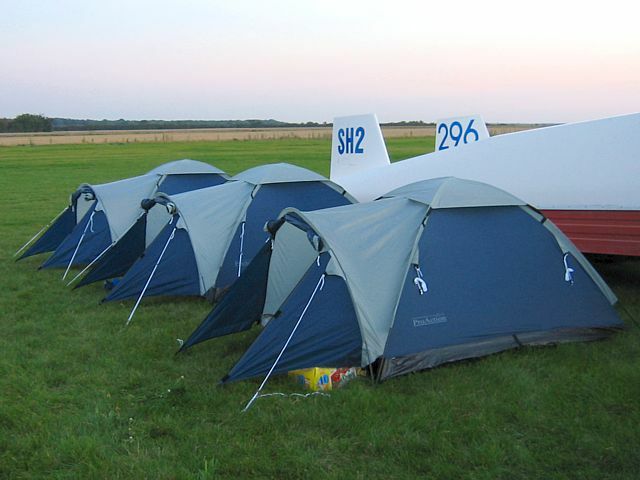 The thumbnail centers on the Lasham trailers and tents. 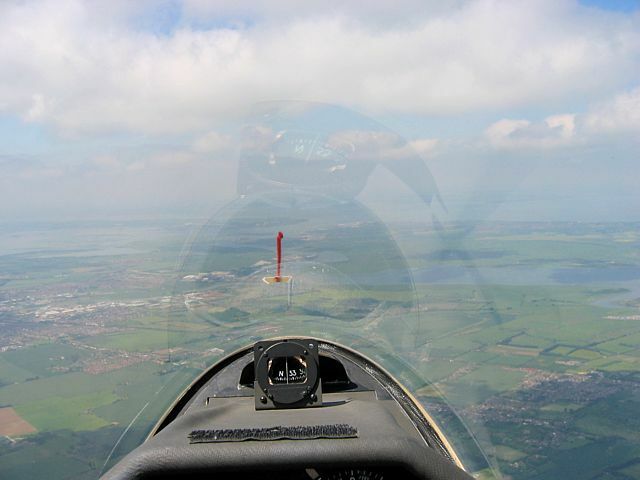 Me finishing on the 5th - flying past about 100 feet up and at about 120 knots. 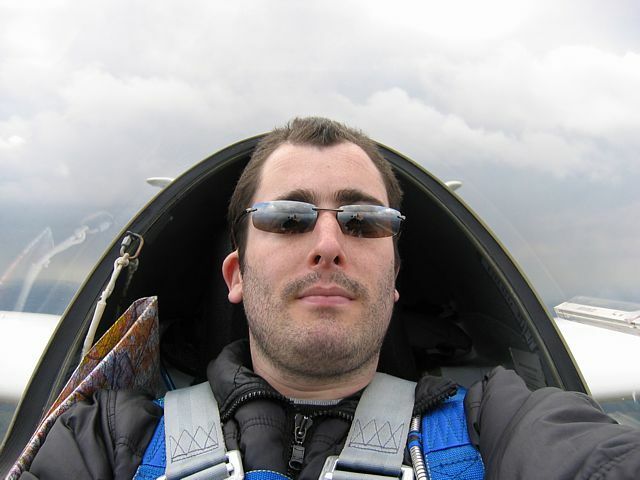 First of all I took some pictures while sitting in the glider waiting to be launched. 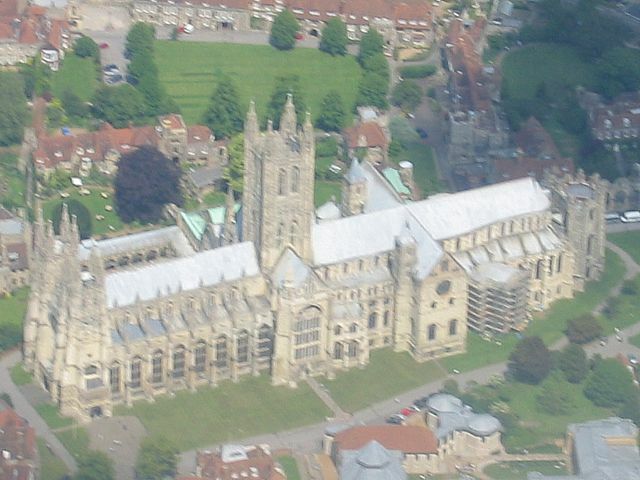 Then I took a picture of Canterbury Cathedral and several around the Isle of Sheppey. Then I took one more picture after landing. 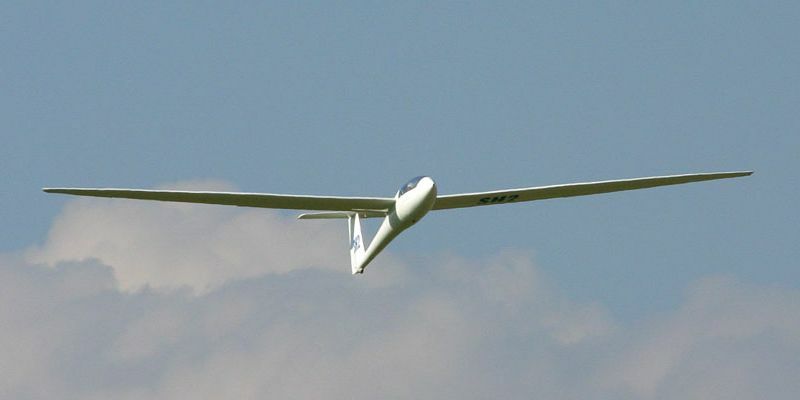 An aerotow launch. 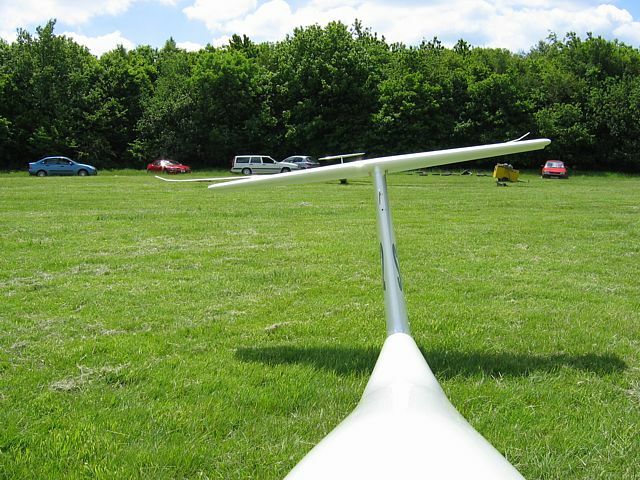 You can see the Challock clubhouse and trailers above the tug and glider wing. 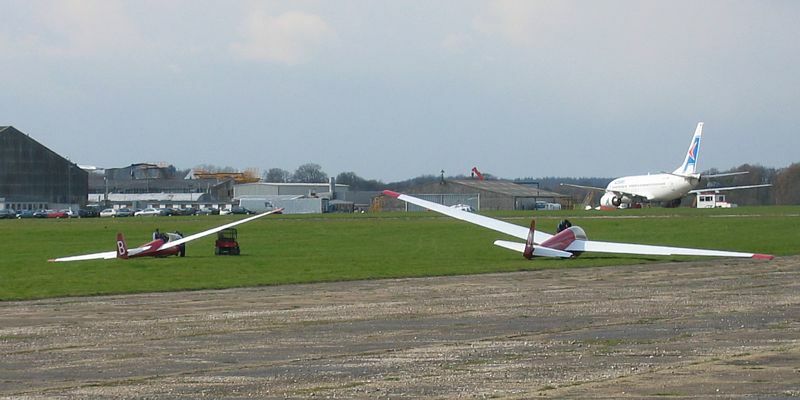 The grid (half the gliders launched). The winch launch point to my left and west. The blue van just towed the winch cables out. Looking backwards. I took this pic to see what was behind me. 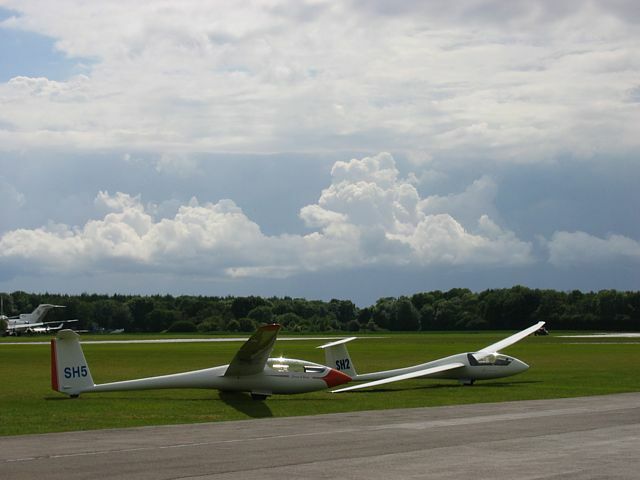 I believe the glider behind my tail is the Ventus 2 with the tail number '666' (and I'm not kidding!) Shaun in Discus B 397 also waiting to be launched. 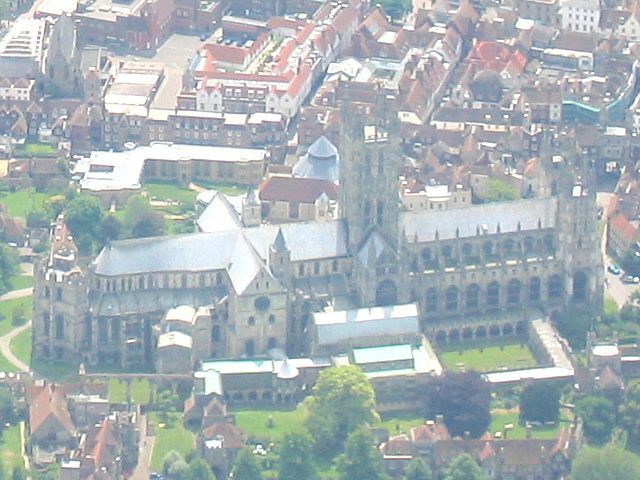 Canterbury Cathedral from the north and south. Shame the south side is slightly blurry. 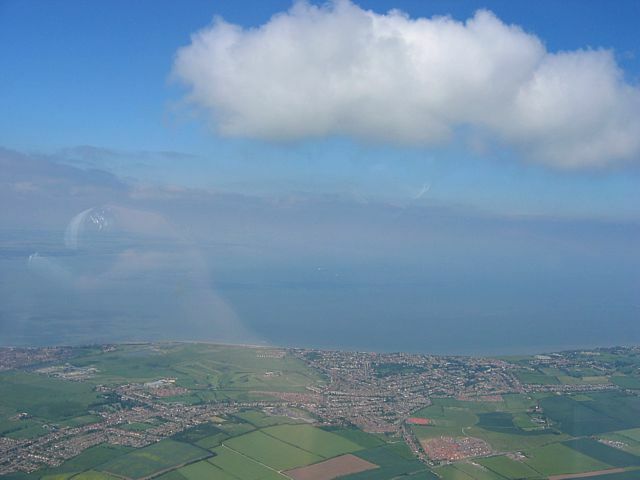 Headed north to the Isle of Sheppey on the edge of the Thames Estuary. The Isle is to the right of the red yaw string. 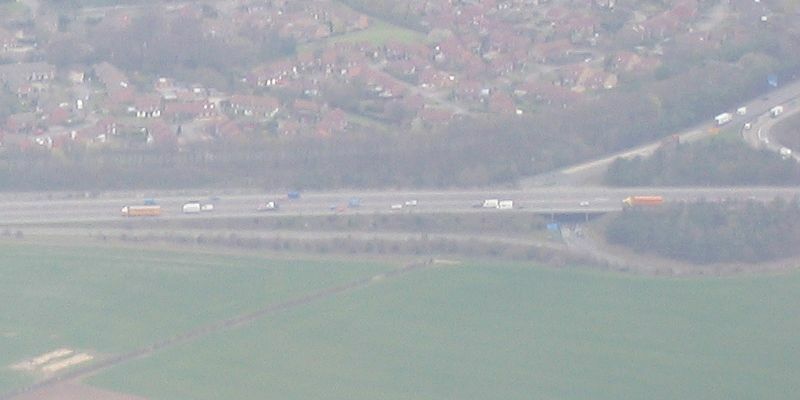 The A249 road where it crosses to the Isle of Sheppey near the turn point (seen from the south east). Looking south west along the A249. 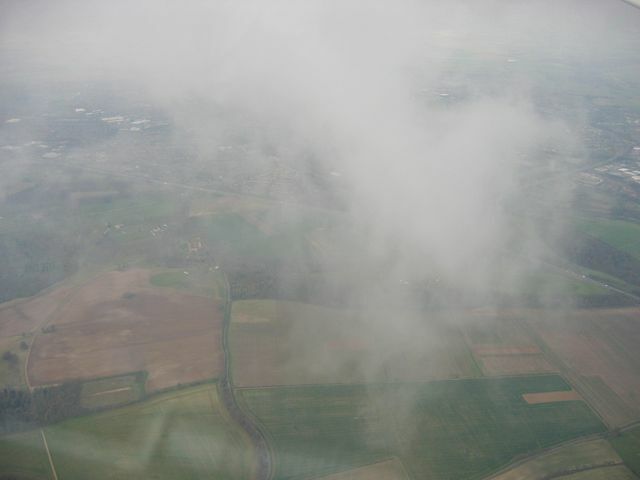 The town to the top right is called Iwade. 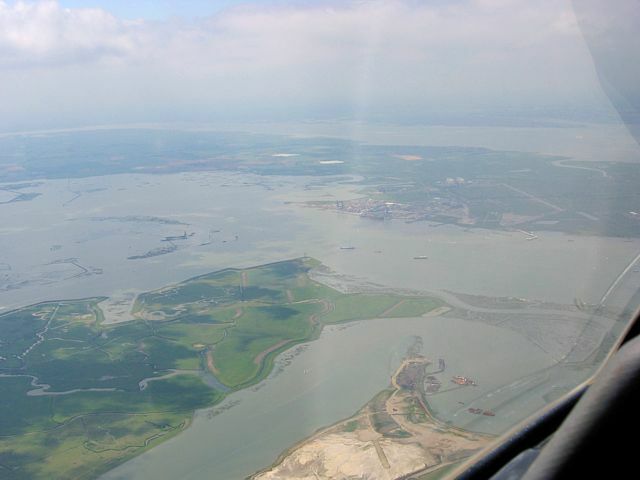 The Thames Estuary. 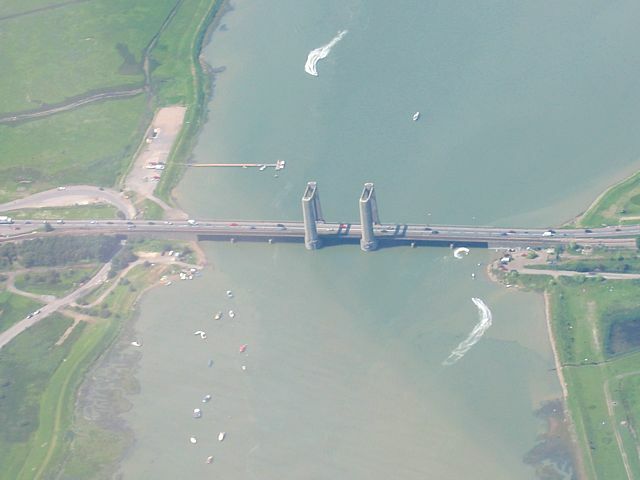 To the north west is the river Len estuary, with Medway behind that, followed by the Thames Estuary itself. 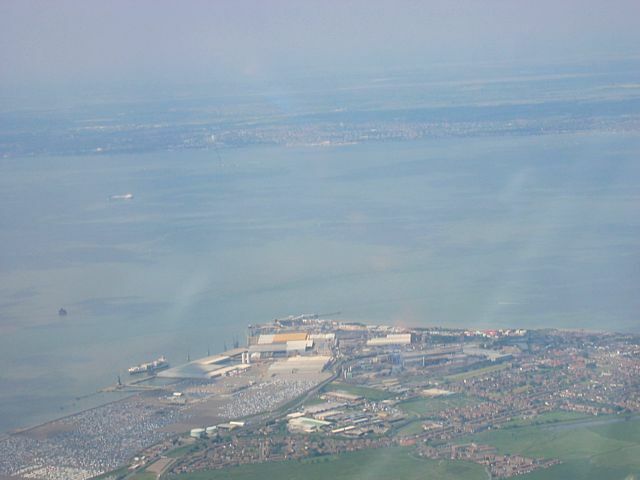 The town and industrial complex to the north is Sheerness, with Southend-On-Sea across the estuary. The town to the north east is Minster. 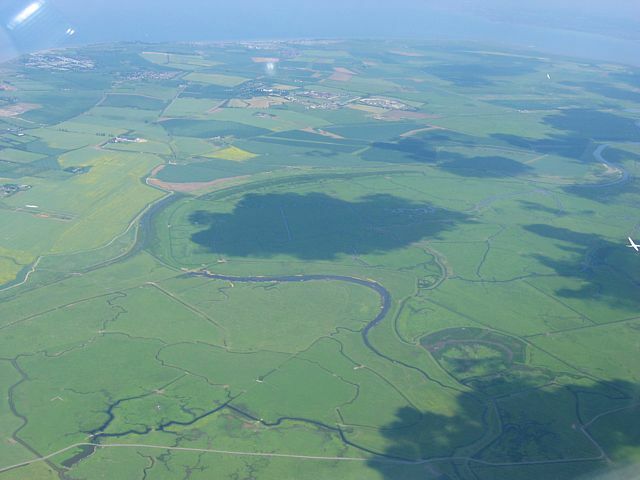 Sheppey itself looked a bad place to be, with marshland and water close by and unlandable fields further away to the north east. Parked up for the night back on the ground. 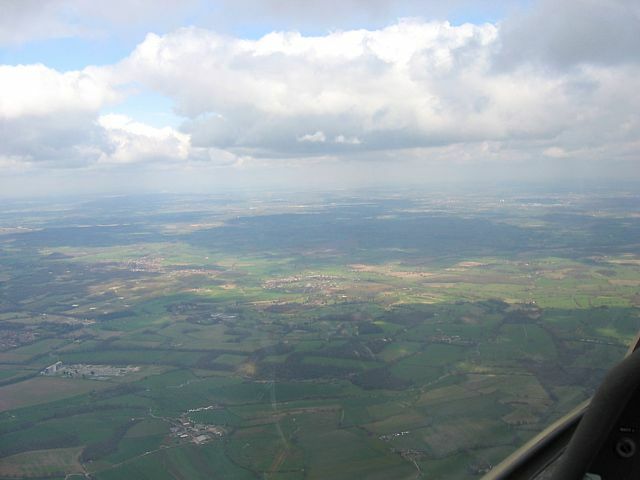 I was flying Sh2 on the left. Shaun flew 397. 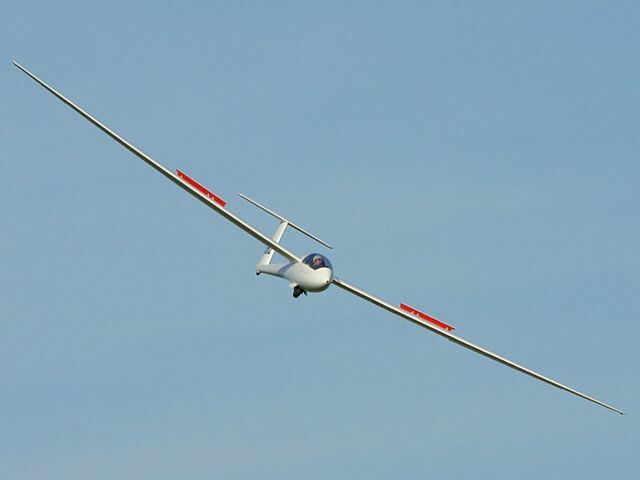 Jamie flew the Imperial College glider 296. (All 3 are Discus B's.) 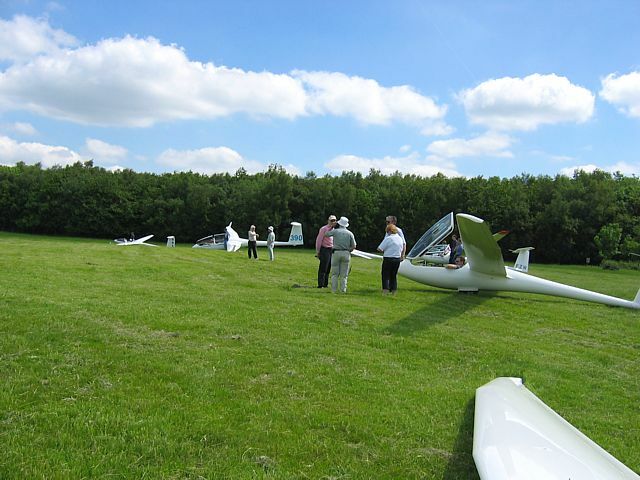 Near the trees at the back is Kent Gliding Club's Skylaunch winch. Today was rather showery. 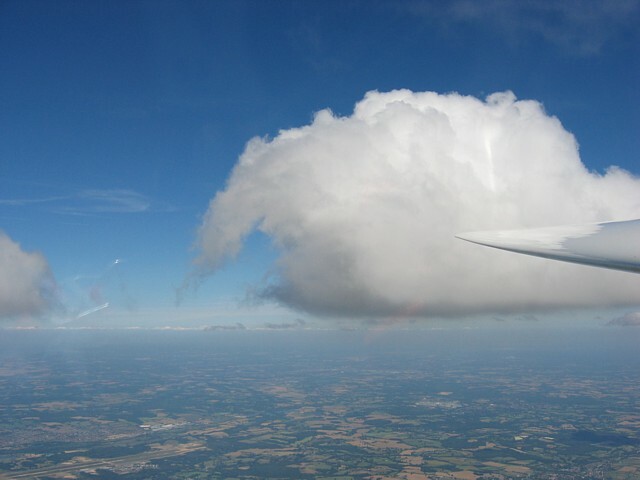 I had a relatively short flight at 1 hour 15 minutes, but in that time I saw some amazing cloudscapes. 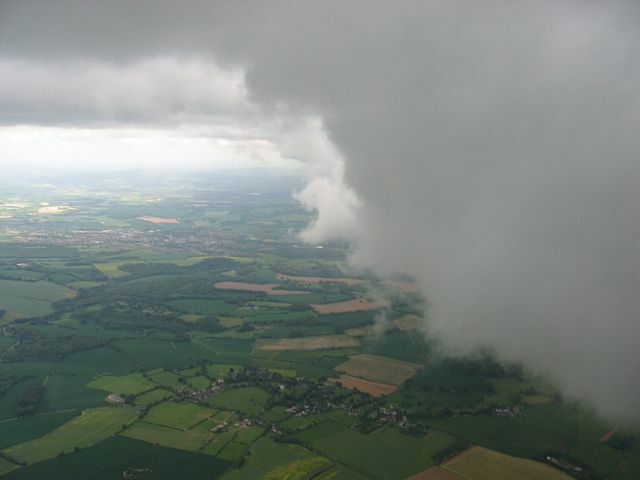 As a shower approached, the cloud around it dropped from 4000 feet above the ground (4600 feet ASL) to about 2500 feet (3100 feet ASL). This made for some good runs alongside the cloud wall, where the lift was strong and seemingly everywhere. 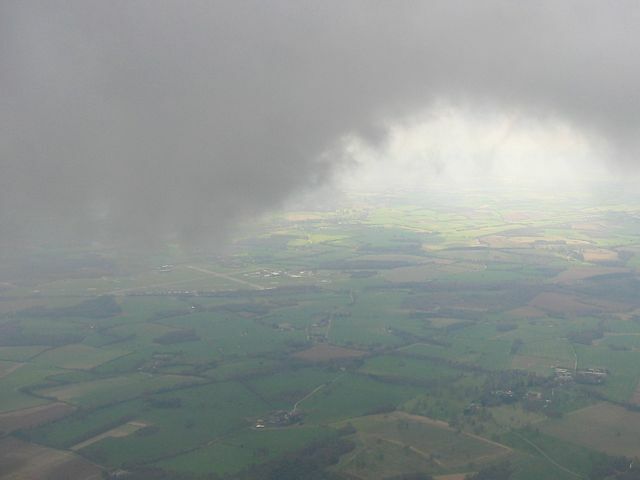 Eventually, after losing sight of the airfield as the low cloud came between us, I headed north to Basingstoke where the shower was lighter, and then followed the M3 westwards through the shower, after which I slowly sank back to the ground in light drizzle as I waited for it to clear the airfield. 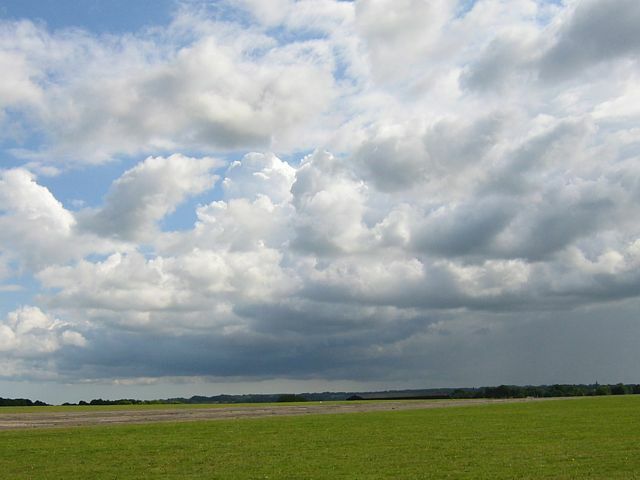 A localised shower to the north of me (other side of the M3). 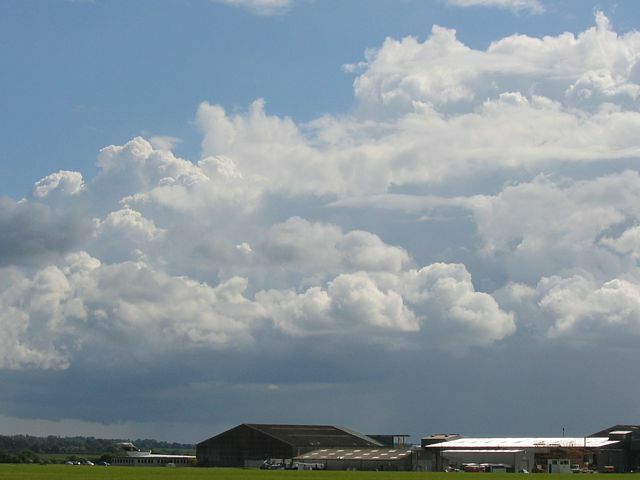 Large shower approaching from the south west. 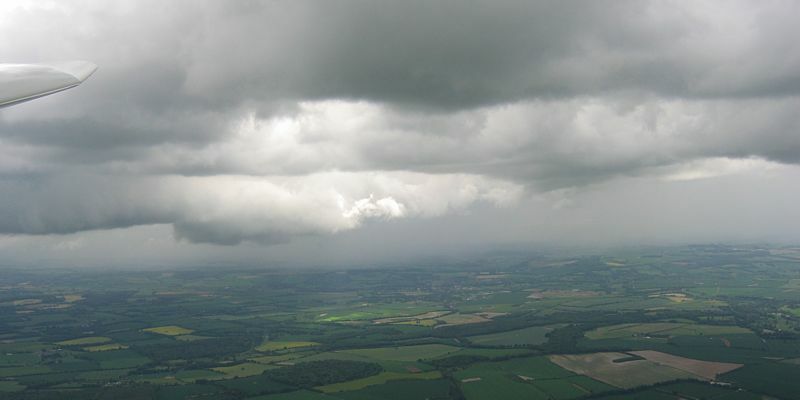 Look how cloudbase drops near to it. 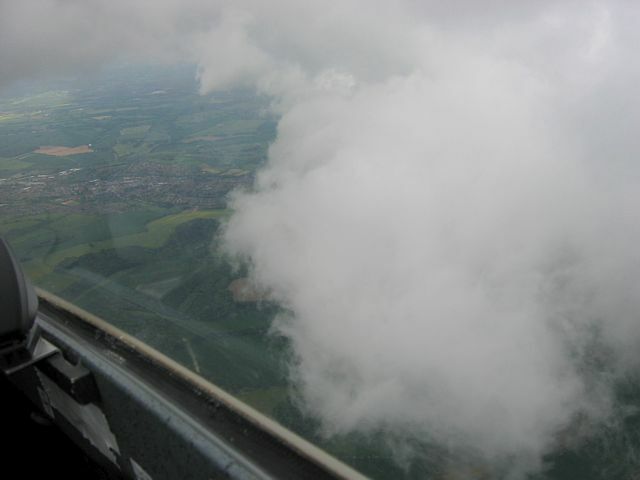 A closer look at the low cloud near the shower as I climb closer to cloudbase. 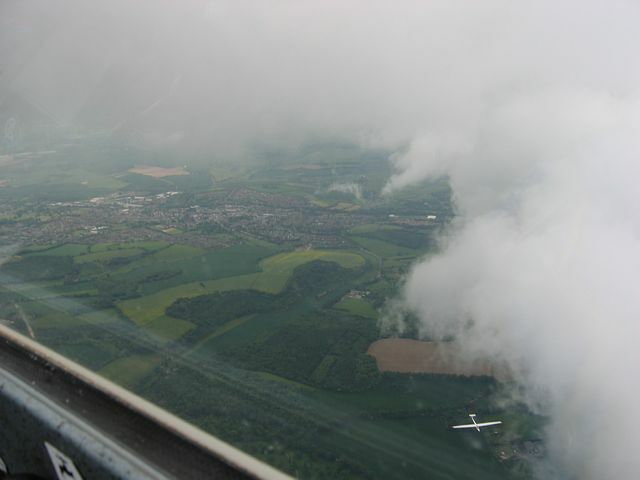 Now above the low cloudbase flying south east along the wall towards Alton in strong lift. 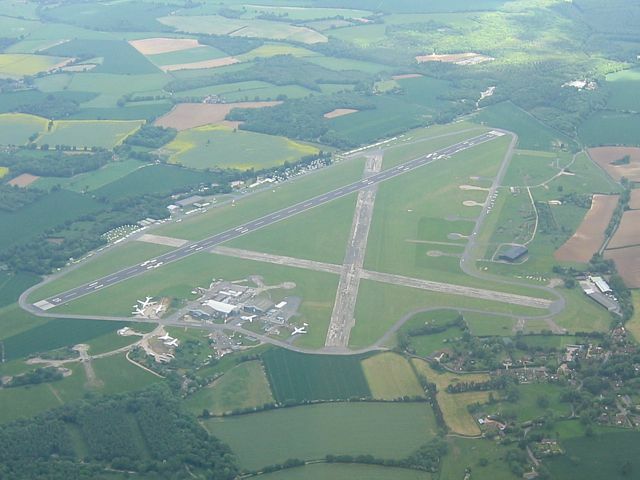 Passing Lasham, seen from the south west. 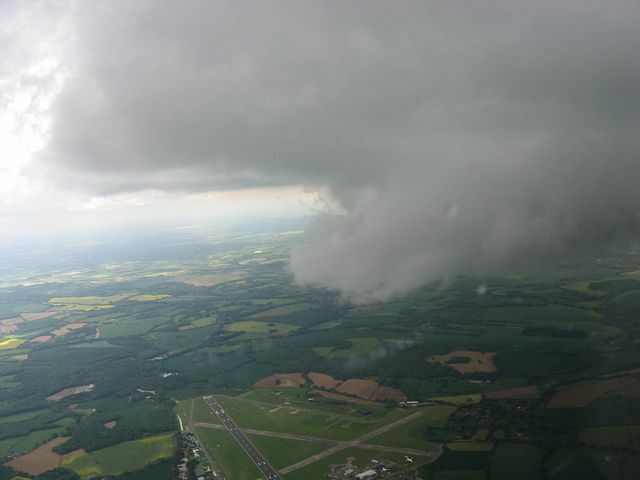 Now approaching main cloudbase as I get closer to Alton. The views are getting awesome. 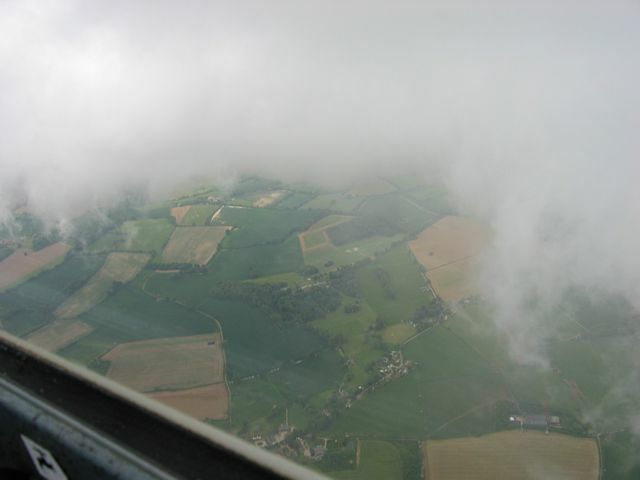 It was great fun flying up and down this line of strong lift next to the low cloud. 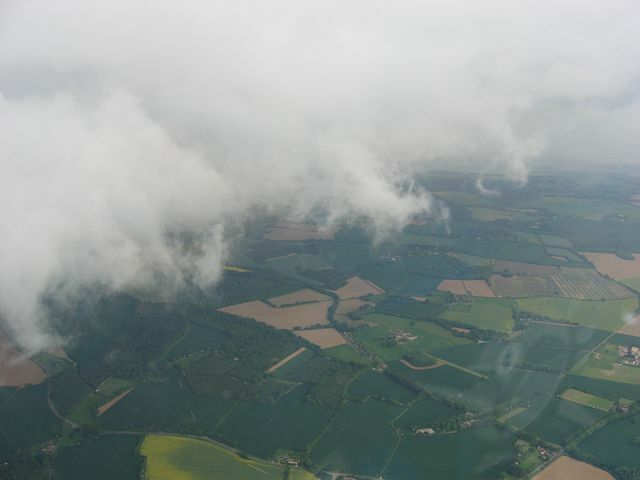 By now the low cloud is passing Lasham and before long I lose sight of the airfield. 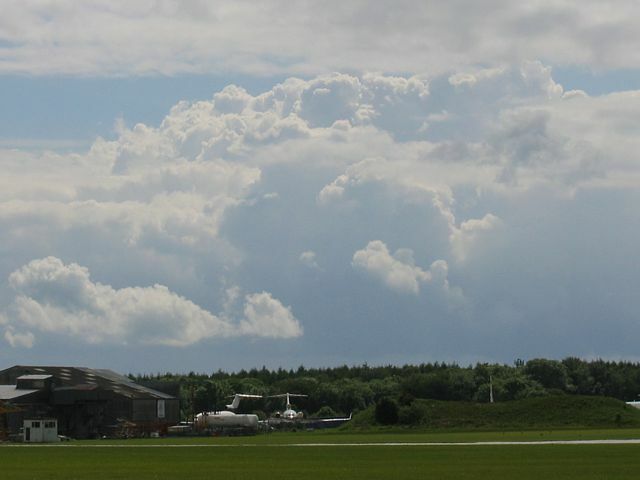 Back on the ground, various shots of passing cunims and incoming showers. (Sh2 was my glider today.) 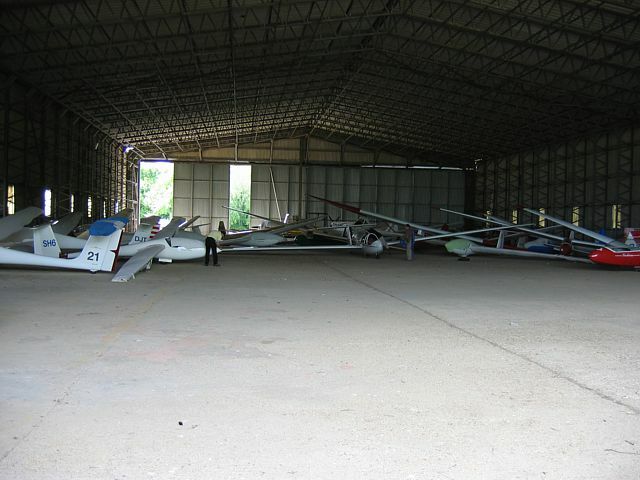 Putting the gliders away. One of the two winches. Doh! I landed out. 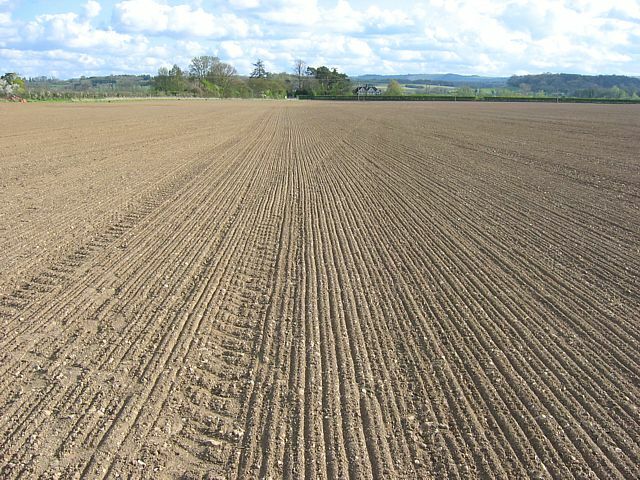 This field is half way between Newbury and Hungerford. 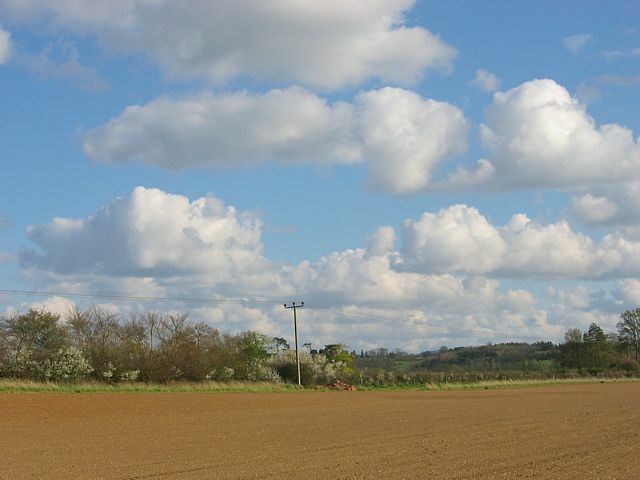 The road on the Southern edge of the field is the A4. So atleast access was easy. All was going well until I got to this area, when the local thermals turned inside out and spat me out of the sky. 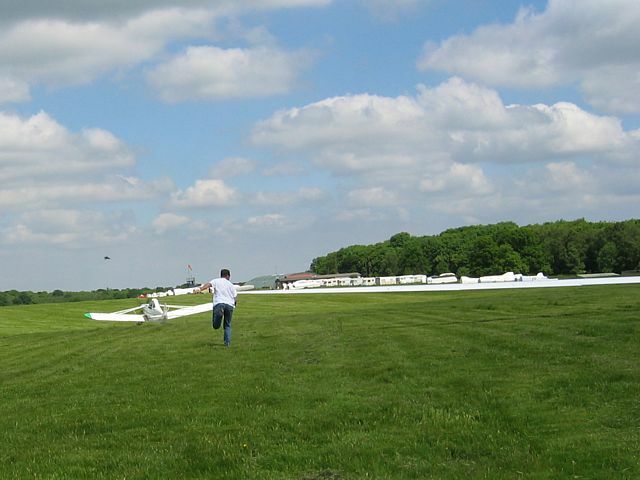 Atleast, as you can see, I chose a lovely flat and smooth (and huge) field to make a nice gentle landing in. Unfortunately because it had just been sowed with a new crop I couldn't aerotow retrieve, so I took these pictures during the 3 hour wait to be rescued by trailer. 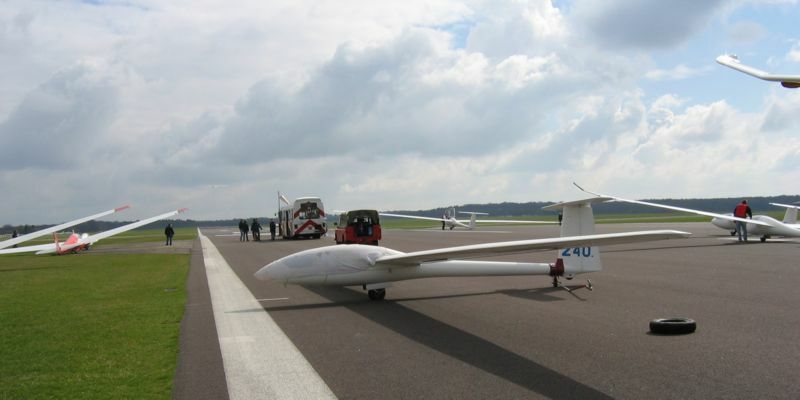 The glider where it came to rest. The view South. 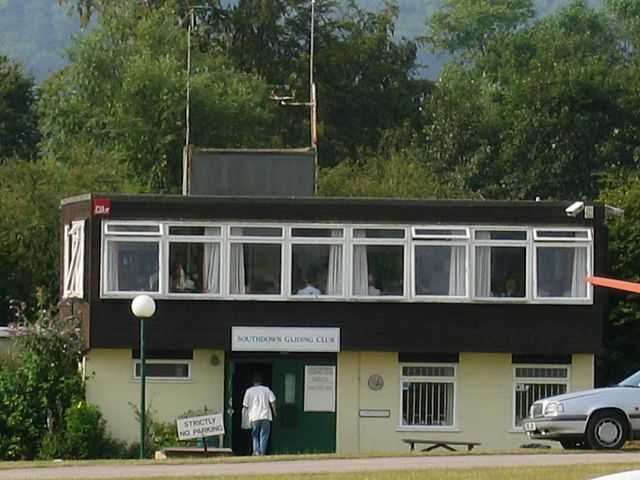 The thumbnail focusses on the entrance gate. The view North. This field was huge - about 3/4 of a mile long. 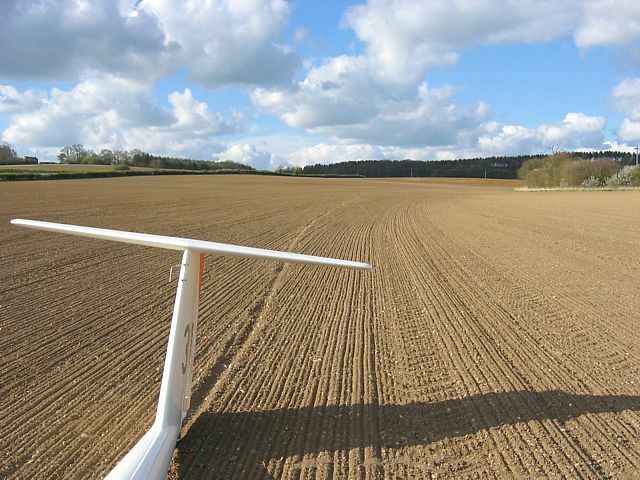 You can see the small trench the glider ploughed as it landed. Pictoresque view of hills to the southwest upwind. 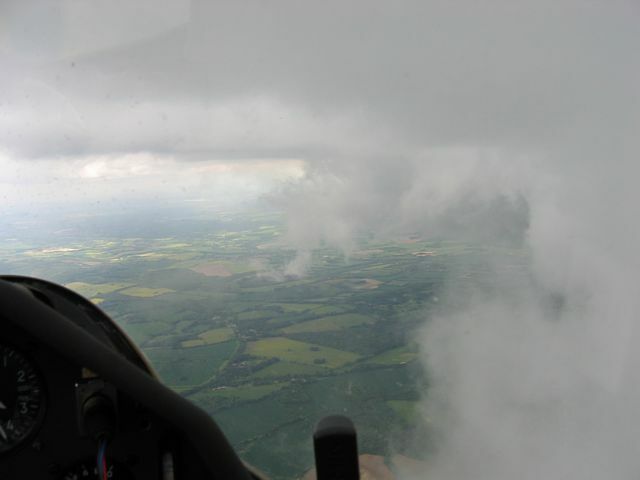 Of course, looking back towards Lasham, much better conditions had to be drifting past! I just bought a new camera. 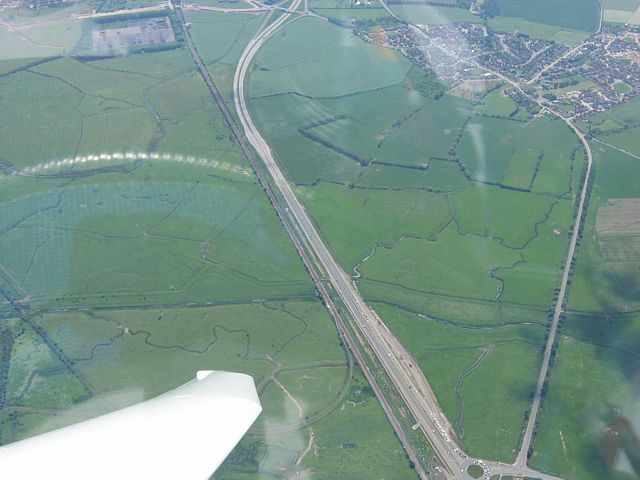 Today I decided to play with it up in the air during a 3 hour local soaring flight in the Ventus. There were showers around (snow and small hail above 2000 feet) and spreadout. 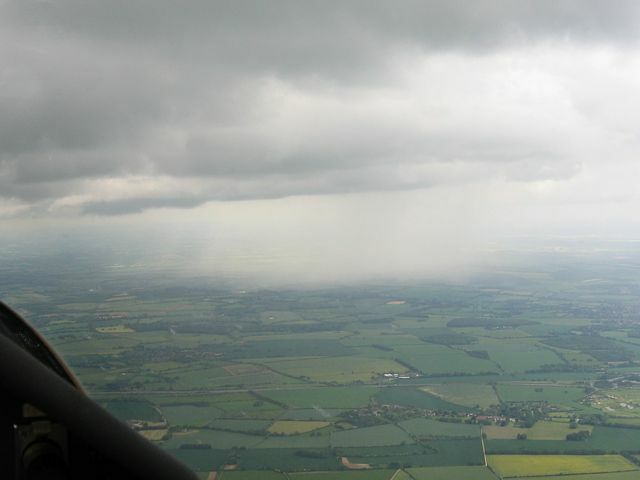 Most of the pictures were taken between 3000 and 4000 feet where temperatures were as low as -4C (hence the snow and hail). Someone towing out in the morning. Rather moist showery airmass starting to bubble. The launch point. 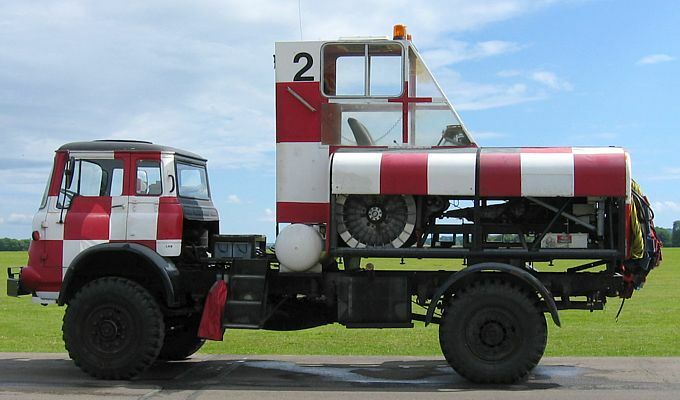 Winch queue to left, launch point bus, fire truck and parked private glider in middle, aerotow queue to right. 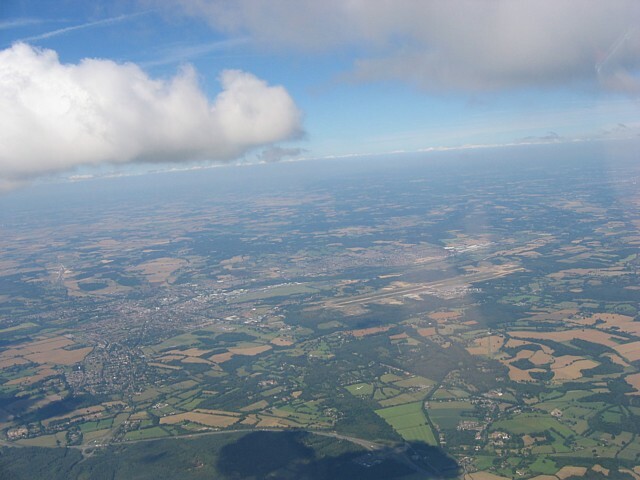 Soaring over Basingstoke again. Looking down the port wing at about 30 degrees. Sun on the ground was at a premium today. 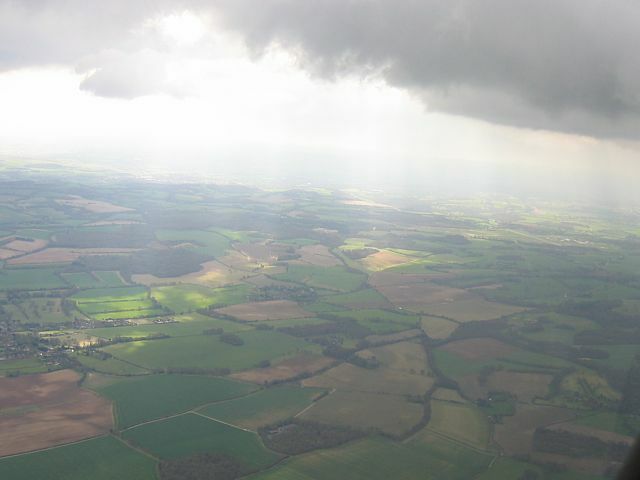 (Lasham to right in sun). Low throngs of cloud to the north of me obscuring the M3. 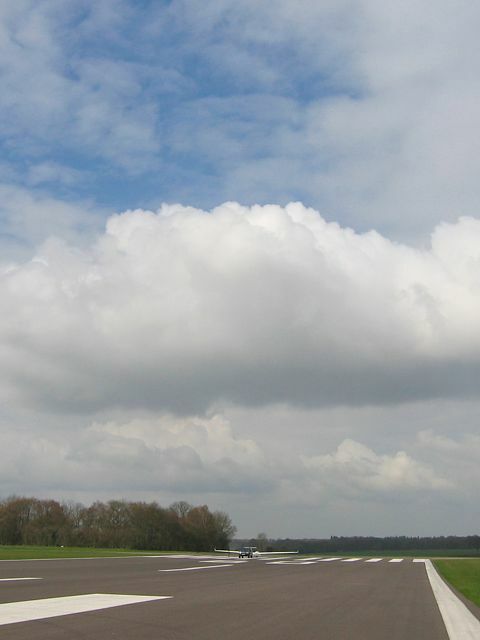 Low lump of cloud trying to obscure the airfield to the south. 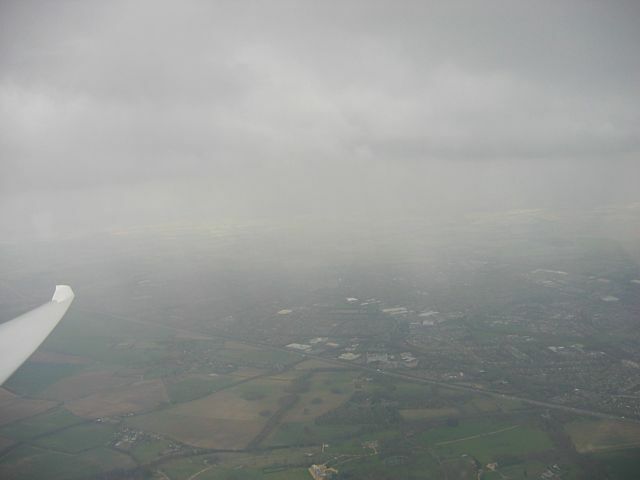 Poor vis looking towards a light snow shower vs good vis away from it. 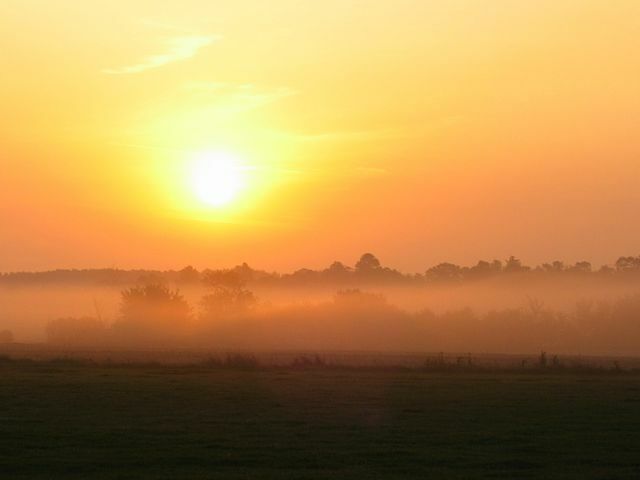 The high resolution of the new camera makes single shot panoramas easier. This was a big cloud street to the west of me with light snow / hail dropping out of it. The new camera's 4 megapixels allows me to get much closer to the M3 now. Junction 6 to the right. Here's the scruffy half-shaven oik responsible for these photos today. I needed that winter coat - it was freezing up there! You can just see the camera reflected in the glasses (and the better sky I'm headed for). 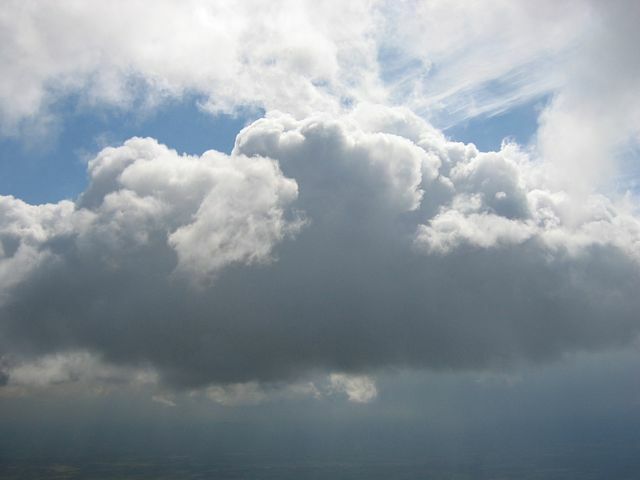 A glorious arty pic of a cumulus cloud. The cloud above me stopped the sun from dazzling the camera. Spreadout made conditions slightly tricky at times. Back on the ground after a big shower went through. 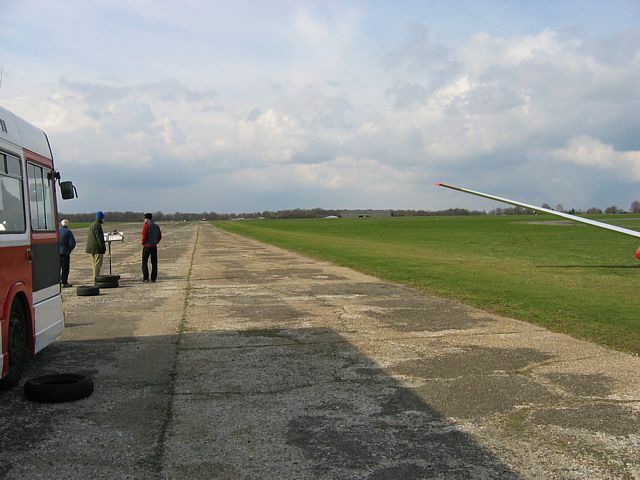 Just before launch we had switched to the short runway (34). This runway is rarely used. Launch point (you can just see the main hangar over the hill in the center of the pic) and training gliders being retrieved.